"THIS IS GOING TO BE ONE HELL OF A CHESS MATCH"
In a move that shocked the GCBL, ANTKNEE P (GT: Dant8) has voided his contract with DON KING PROMOTIONS and signed a 3 FIGHT DEAL with $BANKS PROMOTIONS$. 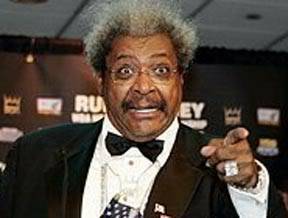 DON KING was quoted as saying, "I wish nothing but the best for the true King of the GCB, DARIUS LANE in his upcoming bout vs a "Traitor" ANTKNEE." "If Roy loses, he retires"
JOSE CASTILLO (GT: Smokey559) defeats STEVE URKEL (Bayboxer1990) by majority decision in stunning upset. 95-93, 95-93, 94-94 with Smokey559 knocking bayboxer1990 down with literally one to zero seconds left in the last round.